It's an ability that many of us on the worksite often take for granted, but there really is nothing better than a truck that's able to pull as much as you need it to. The 2017 Nissan Titan is one of these pickups, and it's able to get down and do all the dirty work without a complaint or hiccup in performance. 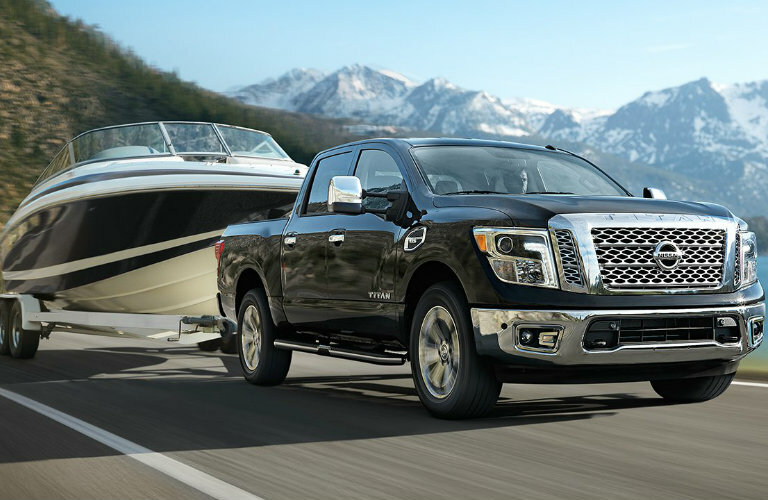 Today we'll be taking you through the 2017 Nissan Titan towing capacity and engine specs so you can see just how well it performs! If you're looking for some of the best pickup performance on the market, the 2017 Titan has just what you need. Under the hood lies a 5.6-liter Endurance V8 that's able to produce 390 horsepower and 394 lb-ft of torque. All that power is shifted through a 7-speed automatic transmission, making your drive more smooth and responsive than ever before no matter what kind of surface you're on! Of course, this kind of strength leads the Titan to be able to haul some serious cargo. Not only does it allow you to tow up to 9,390 pounds, but included Trailer Sway Control and Tow/Haul Mode ensures that whatever you're pulling will be kept secure as you take on the road ahead. 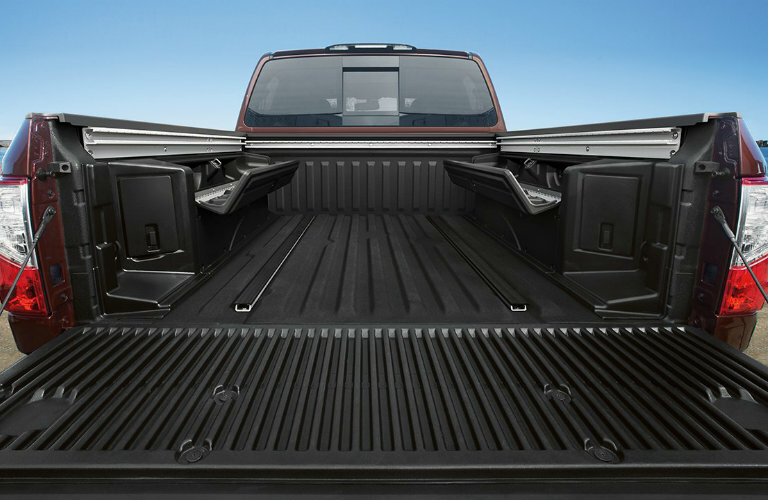 Now's about the time when we should tell you about how pickup trucks are designated (half ton, full ton, etc.). These numbers are directly related to the amount of payload a pickup can carry in its bed safely. The 2017 Titan allows for anywhere from 1,329 to 1,616 pounds of payload capacity, placing it firmly in "three-quarter ton" range!